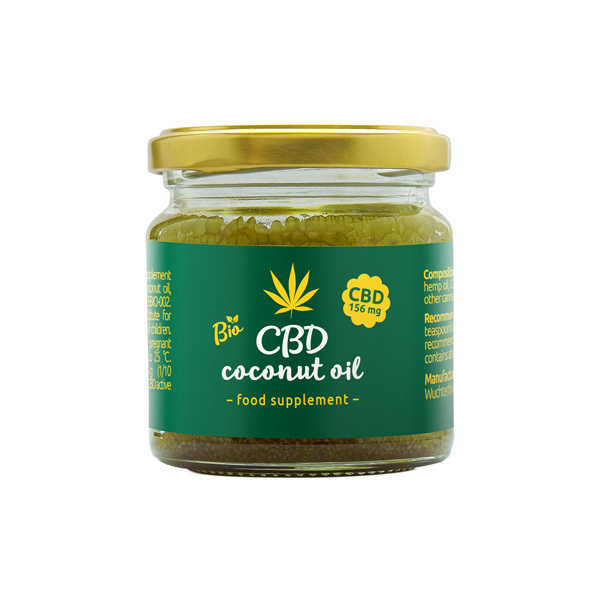 CBD coconut oil - a food supplement is a unique blend of high-quality coconut oil, organic hemp herb and hemp oil CZ-BIO-002. 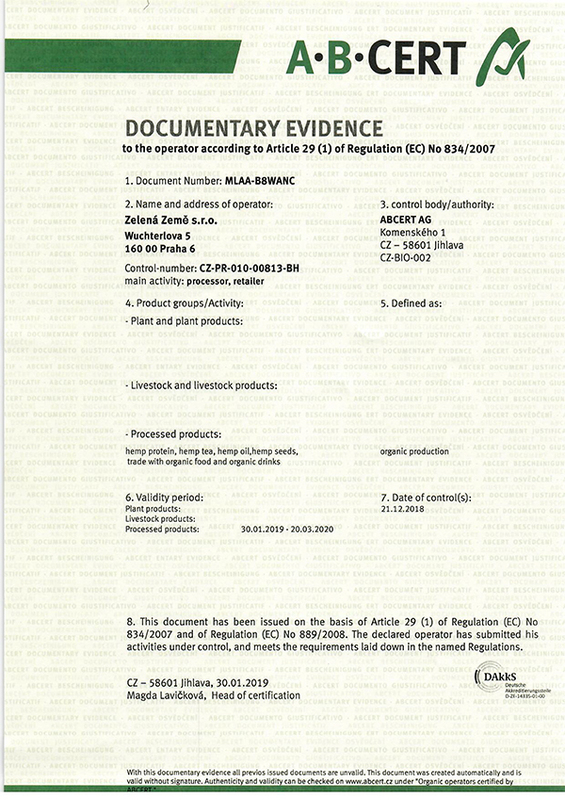 CBD coconut oil was produced according to the secret Cannadorra recipe. CBD coconut oil with added hemp oil harmonizes natural processes in the body and thus supports its defenses. It has a positive effect on cardiac activity, cholesterol level, blood glucose level, normal skin status, muscle and joint function. Recommended daily dose: 500mg daily = 0,5g (1/10 teaspoonful). Do not exceed the recommended daily dosage. The pack contains approximately 51 doses. Usage: Orally take the recommended daily dose. CBD - Cannabidiol is one of the two most well-known and effective effects of the most important cannabinoids. Cannabinoids include not only natural substances contained in cannabis but also those produced by our organism (endocannabinoids). These substances maintain the balance of our metabolic system. The cannabinoid system affects practically all the functions of our organism and opens our consciousness to new ways of thinking. The Cannabinoid system helps us to take change and adapt peacefully, just to be open to them.